Pick Up Something FAB This Valentine’s! Valentine’s Day is right around the corner! What are you getting for your loved ones? Flowers die and chocolate quickly disappears, so why not get your Valentine something special, long-lasting, and that they’ll appreciate for years to come? We know that on the surface a TV console or bookcase may not seem like the most romantic gift in the world, but love is more than just saying, “I love you”, it’s how you show you care. So instead of getting your wife another cute figurine for Valentine’s Day this year, get her a curio cabinet to put all those figurines in! If your husband has been complaining that his back is hurting every day after work, a massaging armchair might just be the thing. How about a nifty bookcase for your book loving kid in college? The possibilities are endless AND they’re unique (not to mention reasonably priced). We’ve been serving the Roxbury Township, Morris, Warren and Sussex County and Northern New Jersey areas for over 50 years. 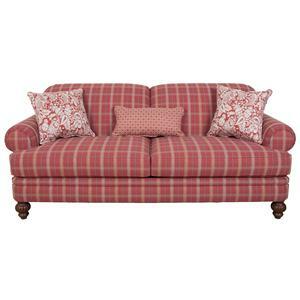 Our customers value us for our large selection, beautiful showroom, fair prices and immediate delivery. Still family owned after 50 years we are committed to providing a unique, family friendly, comfortable place to shop for your home. Our caring staff, combined with affordable, in-stock furniture will help you furnish your home in hours, not months. Drop by one of our showrooms today or visit us online to see what kind of bedroom perfection we can help you create! Don’t Just Spring Clean, Spring Rejuvenate! Spring is defined as “the season after winter and before summer, in which vegetation begins to appear, in the northern hemisphere from March to May and in the southern hemisphere from September to November.” But also – “Spring and “springtime” refer to the season, and also to ideas of rebirth, rejuvenation, renewal, resurrection and regrowth.” There’s a reason we have the term “spring cleaning” around. This year take spring cleaning a step further. Don’t just deep clean your home – rejuvenate and renew it by taking advantage of our amazing deals and everyday low prices! And while you’re at it, why not add a touch of spring to your home while you redesign? Take advantage of springlike colors in furniture (bright, bold colors in particular) and accents. 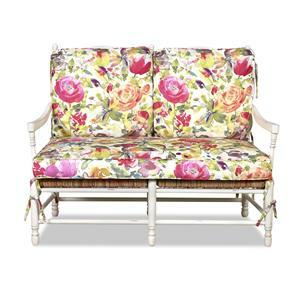 See how that item with the floral design will fit into the scheme of your living room. Bring spring inside and keep it there year round! Spring is finally here after much waiting and while we still are waiting for the temperatures to get just a little warmer, the trees have started to bloom and the days are longer. But why only have spring outside your home? Why not bring some spring season inside as well? Here’s a few ways to lighten up your home to match the season! Introduce a fresh new color into your accessories. Spring green, tangerine, coral or french blue are colors that express the season of spring. Paint one focal piece of furniture in the room, instead of the walls. Add a small cup or vase of garden flowers to every room. Flowers add life and color to any space (and they smell great, too)! Frame scrapbooking papers in bright, happy colors, and arrange them in like-minded color groups. 2. A gallon of paint is among the easiest tools for changing a space. Choose a springtime color that makes you feel happy; paint an accent wall or the whole room. For a more substantial yet still easy makeover, start with two new accents for the room, such as new window treatments and a rug. Match a paint color to your new duds (it’s easier to match paint colors to fabric and accessories than the other way around) and with just three things, you can have a brand-new room. 3. Think about using a garden cart as a coffee table. 4. A simple pair of sheer panels moves with little effort and filters light. Lest you think sheers come only in a plain-white option, check out today’s choices, including pretty pale colors and punchy patterns such as the stripes shown here. Curtain clips make it easy to hang and replace later. 5. Change your hand towels and kitchen towels to some with spring ier colors and floral motifs. 6. Get a head start on the season by starting your herbs or flowers indoors and placing the pots on a sturdy, multitiered A-frame plant stand with galvanized shelf liners. Spring has sprung so spruce up your surroundings with some seasonal fun and color! Think about adding some new colors, a small end table or floral arrangements. Visit our store today for even more ideas!